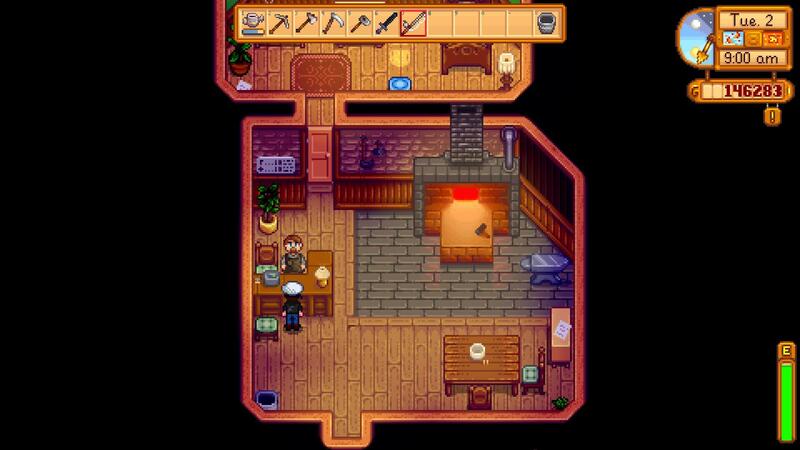 When you begin Stardew Valley, your uncle dies (so sad). Now you get his farm! When you arrive, it's a pig sty. 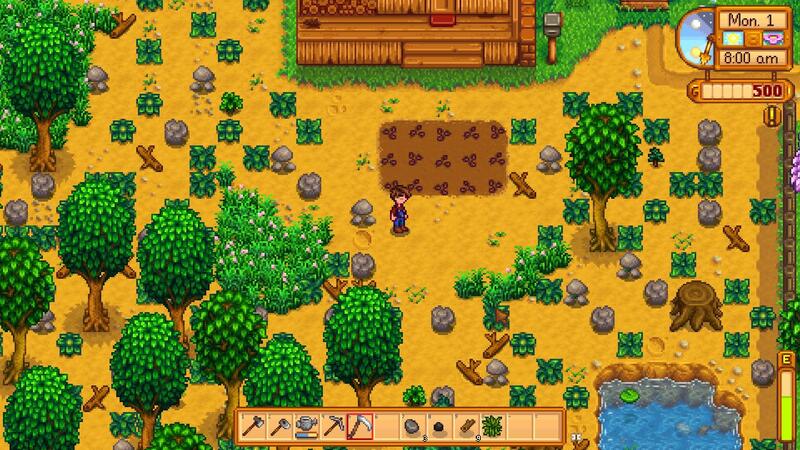 after tidying up a bit, you can plant your parsnips! As you start, you will realise your not cut out for this farming malarky! So you need to get fit! How do you get fit? Well of course, you need to buy an exercise bike! On a serious note, you should probably upgrade your skills. To do this, you need to farm, fish and mine! Once you have done this for days on end, you will notice you level up. And boom, you are slowly on your way to conquering Pelican Town! What's the Game? 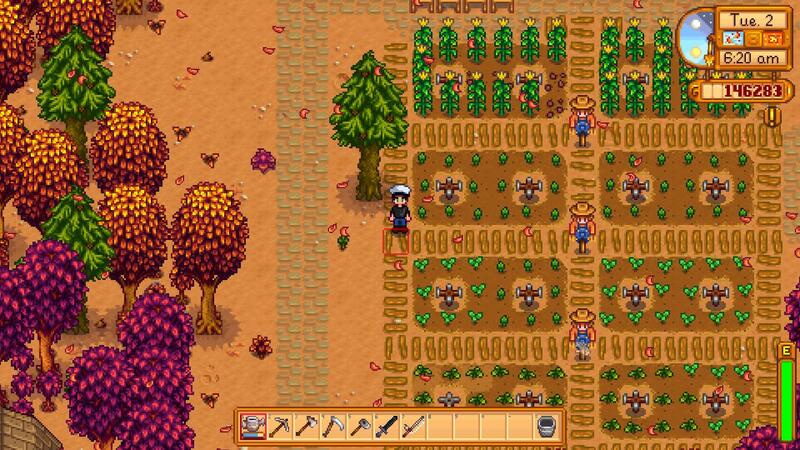 Farming's the Game! Instead, why not use paths!? They never break! Anyways, I would recommend spending all your money on the most expensive seeds. trust me, when those bad boys grow, you in for a treat. Once they have finally grown, spend the money on more seeds, and get fertiliser!!!! Fertiliser gives crops a higher chance of being "good quality", which means they sell for a higher price! Keep track of the in-game date, if you know the crops won't grow by the end of the month, DO NOT BUY THEM, they die and wither at the end of every month. I've Got a Farm... Now What!? Well, you could try your hand at fishing! 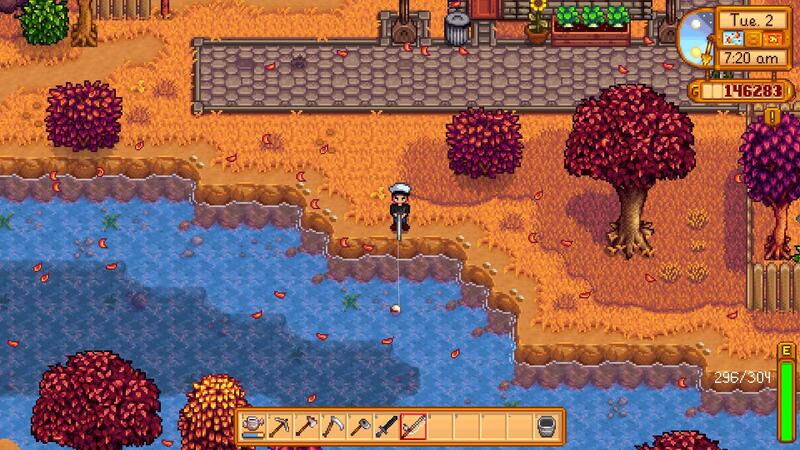 Fishing is a easy way to earn quick cash. 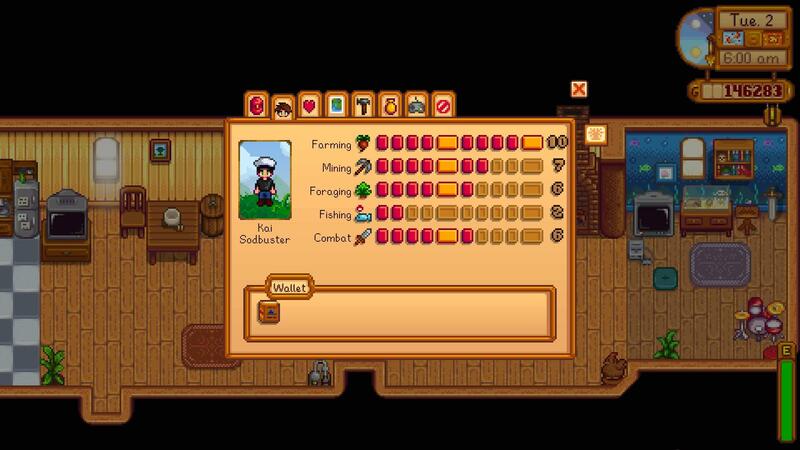 Just fish in your spare time and sell any you catch, and, if you need money right away, sell them to Willy to earn money straight away without having to sleep. When your not fishing, go mining. Mining (obviously) earns you ores, you go in a mine, and you come out with a sack full of copper, iron or gold! Quick Tip: Сheck the fortune teller on your television, if it says you will have good fortune, then thats a good time to go to the mines, if you have bad fortune, mining will be a waste of time. You can use smelt ores you find to craft items and upgrade your tools! When you have a couple of spare bars lying around, take them to Clint and he will upgrade your tools for you. What's the point in upgrading tools? With upgrading tools (mainly the watering can) make sure to upgrade it on a day that you won't need it. For example, when upgrading the watering can, check the weather forcast to see if it will rain tomorrow, if it is raining, you are good to upgrade. Why does it need to be raining? Tools take 1 day to upgrade, the day you gave clint the tool, wait a day, and the next day you can collect it. If you upgrade your watering can the day before a sunny day, your plants will die since you can't water them. 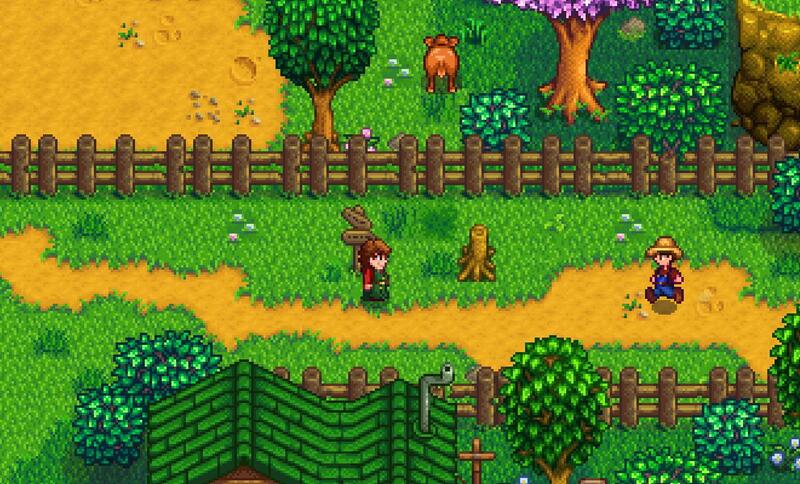 Now your farm is established, and your making the dough, you can start constructing farm buildings. 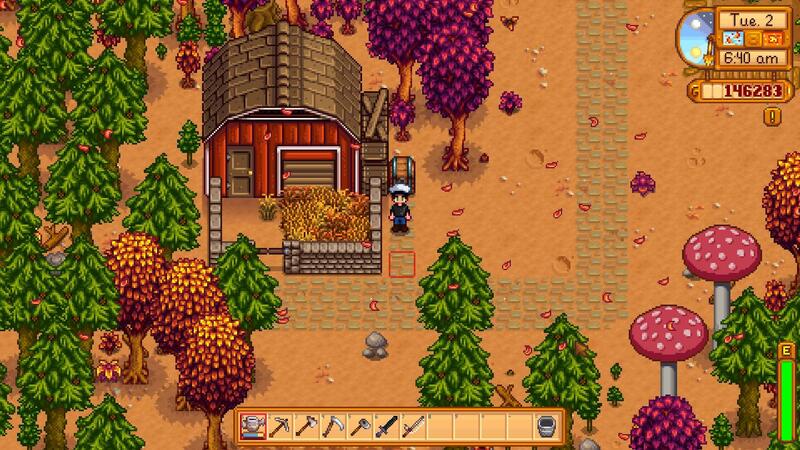 Quick Tip: When buying a coop or barn, make sure to build a silo first, this means any grass you cut, will turn into hay, which the animals eat, otherwise you will be spending money on hay. I would recommend building a coop first, since it does not require many resources, and it's easy to craft a mayonaise machine. Basically, if your buying a coop, buy this, since it turns eggs into mayonaise, which sells for a higher price. If you are buying a barn, I would recommend buying a cheese maker, since you can turn milk into cheese, which also sells for a higher price. 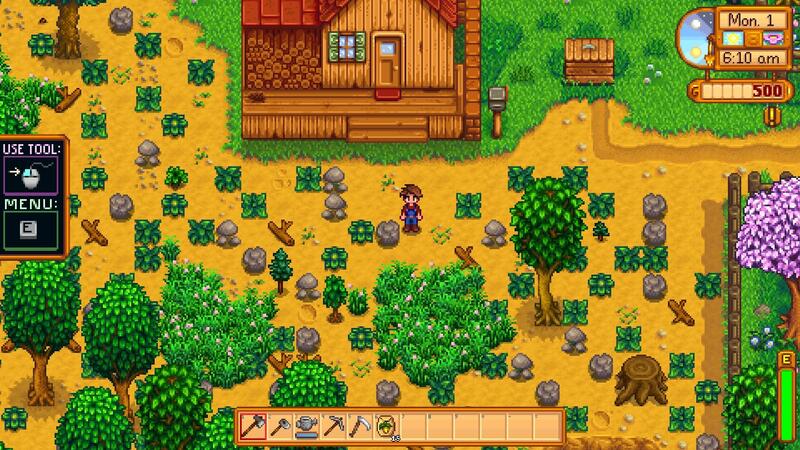 My Farm is Looking Groovy, What Now? Now you have hit that part where you don't know how to continue. I would recommend keeping an eye out for villager birthdays, if you give a villager something they LOVE on their birthday, you will instantly get 3 hearts added to their friendship level. If you have high friendships with villagers, they will likely send you gifts, these gifts can be VERY useful. 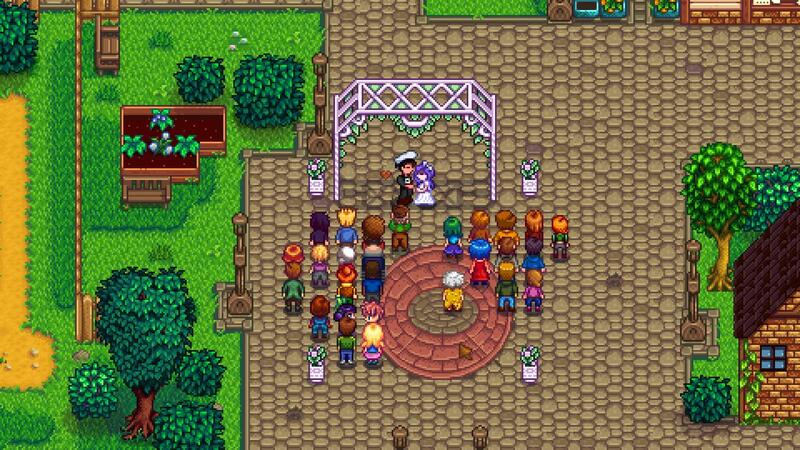 Whilst your making friends, you could find a love interest, and if you get 8 hearts, you can give them a bouquet of flowers, which will make them your Boyfriend/Girlfriend. If you then, reach 10 hearts, you can give them a mermaids pendant (sold somewhere on the beach) during rainy days. Now you are ready to conquer all of Pelican Town, and own the greatest farm in all the land!